Here is a bird cage mini album peek. 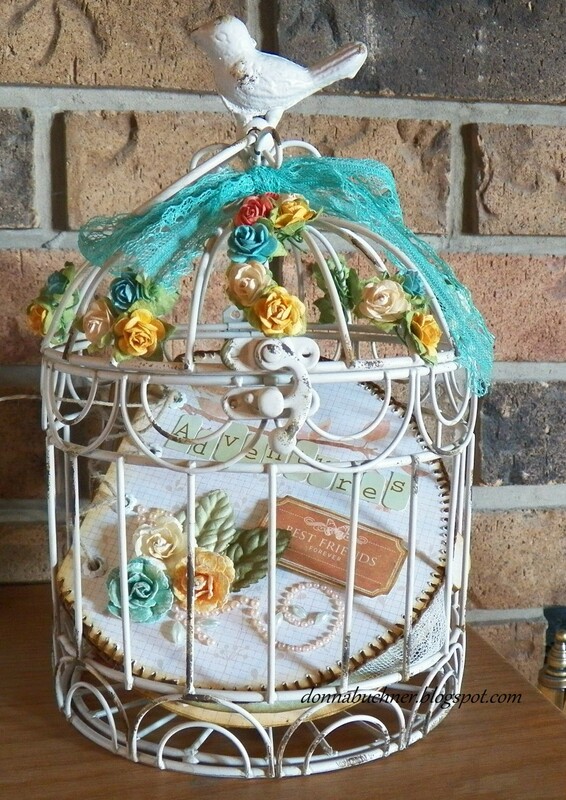 I had purchased the birdcage from Michaels when they were on sale. I distressed the birdcage in some areas. Then added prima flowers that I had on hand, the ribbon came from the kit. I will post photos of the mini album as soon as I am able.